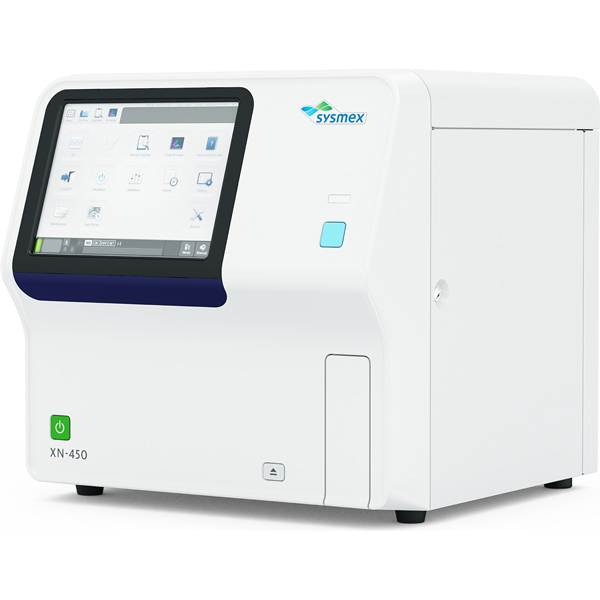 With the XN-450 you can run single samples safely in closed mode. The instrument offers open mode too and comes with a fully integrated IPU, including an LCD colour touchscreen that makes it easy to operate. It incorporates the proven Sysmex technologies of fluorescence flow cytometry, hydrodynamic focussing and our cyanide-free SLS method for determining haemoglobin. Ready for the future, it can be upgraded by adding new clinical and productivity values, or by opting for further professional services and connecting to our Extended IPU as your demands change.